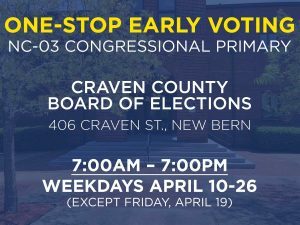 If you didn’t cast your primary ballot during One-Stop Early Voting, vote on Election Day! Polls will be open from 6:30AM – 7:30PM. Don’t know your polling place? Find it here!